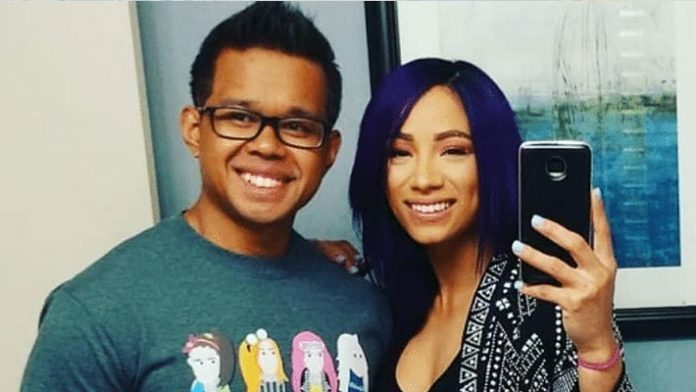 While Sasha Banks has been pretty silent on social media since the reports of her trying to quit WWE came out, her husband has now come forward with a very interesting message. Sasha’s husband Sarath Ton, also known as Kid Mikaze who is currently working for WWE as a costume designer recently made a tweet, seemingly featuring an inspiration message. While this tweet could very well be him sharing his thoughts independently, the timing for the statement forces us to wonder if this is his response to the recent controversy surrounding Banks. As we noted before, Sasha Banks missed a couple of her scheduled appearance after WrestleMania including a last-minute cancelation to The Wendy Williams Show. While the show makers claimed that she was unable to make an appearance due to a family emergency, later it was revealed that Sasha had actually tried to quit WWE sometime over the WrestleMania weekend. The former Women’s Championship was upset over the decision of taking the Women’s Tag titles off her and partner Bayley and she felt blindsided by this call which she was made aware of at the last minute. WWE officials thought that she may have made a rash decision so they have given her some time to reconsider her decision and we’re still waiting for the Boss to respond to these reports. Next articleWhat’s Going On With Sasha Banks?